Looks like fans won’t be seeing Calvin Abueva back in an Alaska uniform this season. Gerry Ramos of SPIN.ph broke the news that the Alaska Aces have proposed a trade to send Abueva to the Phoenix Fuel Masters for a 2019 first round pick and Karl Dehesa. Hours after, the PBA announced the trade on their social media account, making it official. This is the end of Abueva’s six-year run with the Aces. His time with Alaska was filled with highs such as winning the 2013 Commissioner’s Cup crown and a Best Player of the Conference award in 2016. But the latter part of his stint with Alaska was troublesome. Just last July, Abueva was suspended indefinitely for leaving the team without notice. This was the second time this year that Abueva was AWOL. It seems as if the Aces are moving forward from their time with the Beast. “We would like to thank Calvin for his six years of service with Alaska and the good memories. 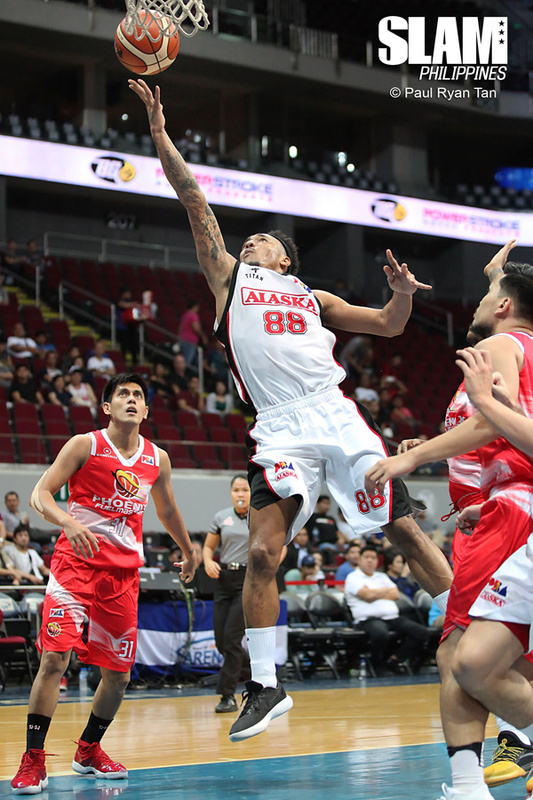 We felt as a franchise it was best for both Alaska and Calvin to have a fresh start at this time,” said the team in a statement. Abueva only played five games this conference for Alaska before he was suspended. He averaged 10.4 points, 9.4 rebounds 2.2 steals and 1.2 blocks during that span. The Fuel Masters get a game-changing superstar that they can plug right into their young core. At his best Abueva is a multi-dimensional player that’s not afraid to make big plays during crucial moments of the game. He can challenge for the BPC once fully unleashed. The real play for Alaska was to get an additional draft pick for next year’s draft. They can draft a potential superstar to join Jeron Teng and Vic Manuel. Alaska can also package that pick to move up in the draft this year and take someone to plug into their team for next year.